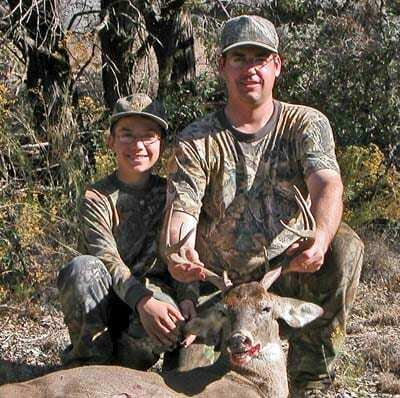 Arizona Game and Fish Department seeks input on game management hunt guidelines. The Arizona Game and Fish Department is accepting comments on improving the hunt guidelines to continue the sustainable management of the state’s game animals, while providing as much hunting recreation as possible. Comments on the existing hunt guidelines may be submitted through Feb. 15, 2015, either by e-mail to azgamebranch@azgfd.gov, or by mail to Hunt Guidelines, Arizona Game and Fish Department, 5000 W. Carefree Highway, Phoenix, AZ 85086. The hunt guidelines provide the biological and social parameters that make up the “recipes” used by wildlife managers to formulate the annual hunt recommendations (season structures, season lengths, season dates, permits allocated, etc.) and results in the hunts in which sportsmen, women and children participate. However, wildlife biologists note that while wildlife is held in the public’s trust, and hunting opportunity is important, using science-based principles in shaping the guideline process remains paramount to assure healthy, sustainable, and diverse wildlife populations in perpetuity. After all the comments are received, reviewed and processed, the department will host public meetings across the state to present the proposed revisions, answer questions, and collect any further public input. A final draft will then be prepared and posted on the department’s website prior to being presented to the Arizona Game and Fish Commission in September. The existing hunt guidelines, as well as information on the hunt guidelines process, can be found at www.azgfd.gov/huntguidelines.